I am big on Christmas but don't have the big budget to go with my enthusiasm. So I have to get savvy with my holiday shopping. First of all we start really early... like in August. When you are on a small budget its not good to wait closer to the holiday and have to scramble around to find extra cash. It just takes away the magic of this wonderful time of year. The second thing I do is shop online. For one it saves me a ton of time because I can find just the thing Im looking for instead of driving all around plus I can usually find better deals online and I can even find places where I can combine several good deals all together for an even more amazing deal. So If you are an online holiday shopper like myself, you must check out Groupon! They are a website that offers coupons on all your favorite retailers. 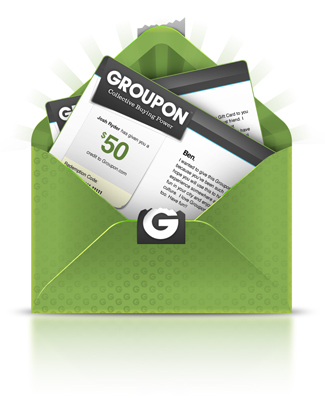 If you go on the Groupon site right now you will find thousands and thousands of deals and coupons. There is an endless supply of money saving offers. Some of the best deals I have ever found have been from Groupon. Groupon used to just be known as a site where you could purchase deals from but, now they offer actual coupons to over 9,000 retailers. My favorite retailer on the Groupon site by far is Target. On the Groupon site there are 71 deals and coupons for Target. 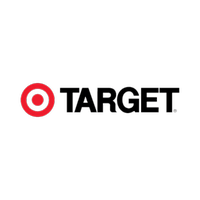 One of my absolute favorite deals for Target is $5.00 off $50.00 plus free shipping! This deals is not only good online but, in store as well. They also have 30% off in their home department. I could shop Targets home décor section for hours. I can really get lost in there. While on the Groupon site be sure to check out all of the other retailers they offer deals and coupons for such as Ebay, Amazon, Bed Bath & Beyond, Walgreens, Aeropostale, Home Depot, Macy’s and so many more. Groupon has all of your shopping need covered. I find Groupon so easy to use. I simply go on the Groupon site, look up the retailer I am about to shop, grab the deal or coupon and I am on my way. Thanks to Groupon and shopping early I can save time and stress and I get to spend more of my time and energy enjoying my family during the Christmas season. Plus my family gets the Big Dreamy Christmas without the big sad price tag.